Together with Jamie Tehrani and Jeremy Kendal, we published a paper in Evolution and Human Behaviour that explores this issue. We analysed the complexity of folktales in various European and West-Asian populations, and we checked whether it was correlated to the size of these populations. We used various measures to define complexity, such as the number of different stories present in a society, the number of motifs included (motifs are standard narrative blocks in which folktales are coded, say “the hero encounters a magical animal” or similar), and, finally, the number of traits for variants of the same story. 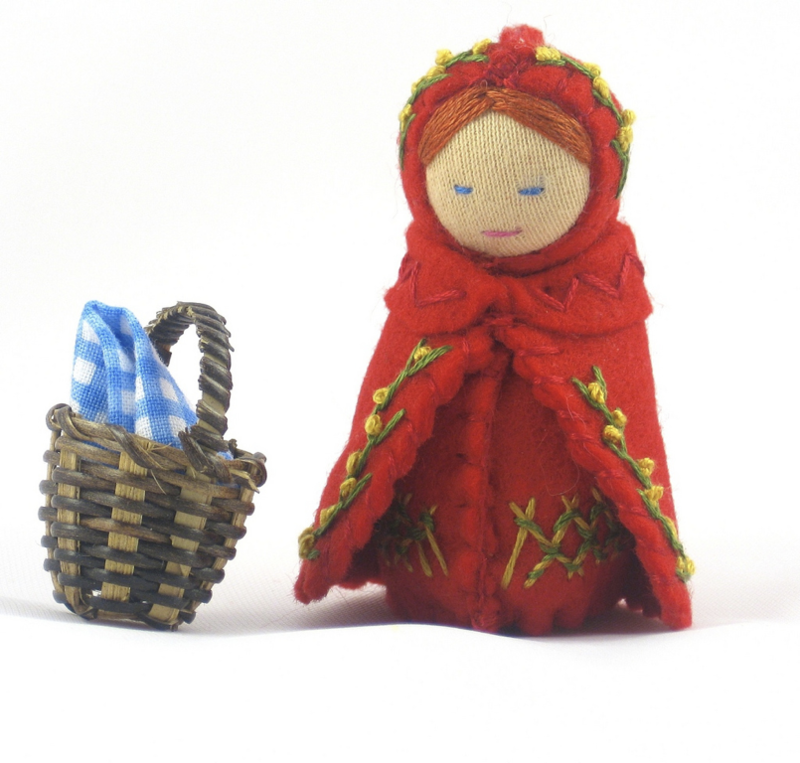 For example, there are several variants of Little Red Riding Hood in different societies, and they differ for how many details are included. In some variants, the hunter cuts open the wolf’s belly to save Little Red Riding Hood and the grandma; in other, this detail is omitted. The more details present, the more we considered a variant complex. Long story short: we did not find a consistent correlation between the complexity of folktales and the size of the populations in which they are present. In other terms, folktales in small populations are as complex as those in big ones. At your risk, scroll down the Little Red Riding Hood figure for a discussion about why I think this is the case. To answer this question I need first to make a small detour. Why, to begin with, one should predict the existence of a correlation between cultural complexity and population size? In the field cultural evolution, anthropologist Joe Henrich developed an influential mathematical model to show this. The logic, without entering in the details, is quite straightforward. Henrich asks us to imagine that individuals attempt to copy a skill from the most accomplished demonstrator in the population. Social learning is, however, error prone, and errors, quite reasonably, generally result in the copier being less skilled than the demonstrator. In the figure below, there is a higher probability of ending up on the left side of the Model/demonstrator z value (hence with lower skill), than on the right side, that would represent an improvement. For this reason, in small populations, it may happen that all individuals will end up on the left side, causing a loss of cultural complexity. Henrich’s model is based on reasonable assumptions and it fits well with our intuitions in some cultural domains, like technology. Learning to build a tool, say a hammer, is a non-trivial task, and it makes sense that, on average, the attempts of an inexpert learner will produce worst – less effective – hammers than the one she is trying to copy (in rare cases the learner will end up on the right side of the graph above, producing, by luck, a better hammer). This idealisation of cultural transmission as imperfect copying plus random errors/mutations is standard in cultural evolution and there are, I think, good reasons for endorsing it in many cases. However, other researchers, notably Dan Sperber, have developed a different view of cultural transmission and evolution, under the name of Cultural Attraction Theory (CAT), which has – at least this is what we propose in the paper – direct relevance to the complexity/population size correlation. According to CAT, cultural transmission is better idealised as a reconstructive, more than as a copying, process, and individuals modifications are an essential part of this process. These modifications are not “random errors”: on the contrary, some cultural traits own their stability to the fact that these modifications tend to converge to similar configurations (the “attractors” of the theory). When we listen to a story, we are not copying it – plus random errors – but we are repeating it, and we are remembering, or emphasising, some parts of the story at the expense of others. Existent folktales, one can argue, went through long chains of oral transmission, and they have been shaped by this process to be easy-to-transmit cultural traits. 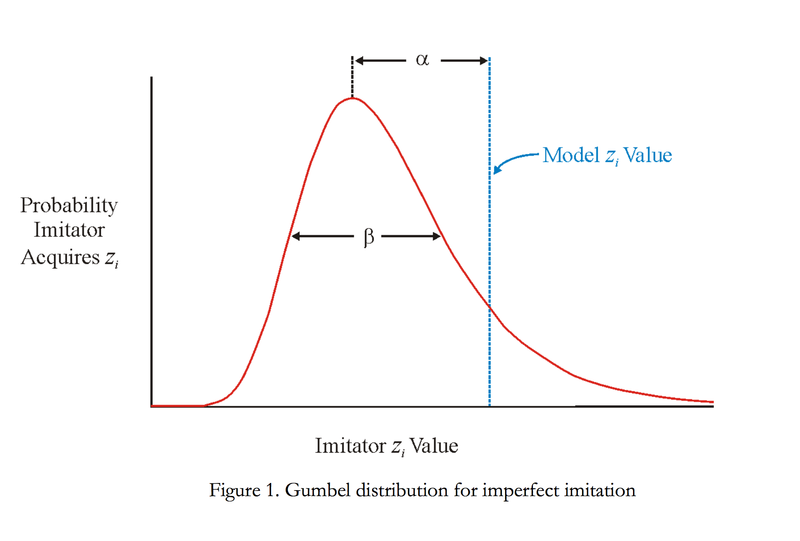 Keeping in mind Henrich’s model, this means that single individuals will be highly likely to reproduce correctly the stories that are told to them (everybody will end up very close to the blue line of the model z value), so that, even in small populations, cultural complexity would not be lost. Consistently with the above, we are not proposing that the effects of demography on cultural complexity are not important in general, but that they may be domain-dependent. Some domains – like technology – look like the Henrich’s world described before, and we expect here a correlation between population size and complexity. Others – like folktales – do not, and we do not expect here a correlation. Not surprisingly, the distinction does not need to be clear-cut: completely “reconstructive” worlds and complete “copy+random error” worlds are idealisations, and we may conjecture, in various domains, a mix of the effects (in another paper we expand, together with Alex Mesoudi, on this idea).